In late 2012, I moved to and accepted Illinois as my second home. It was also my wife's home state, and we came to the realization while living in my home state of North Carolina, that moving to Illinois could bring our family a better life, and indeed, it did. Wages in North Carolina, even for people with Bachelor's Degrees like my wife, were a joke. Illinois jobs paid much, much better, and in a liberal state, there were more services and securities for our disabled son and the rights of minority religions like ourselves. Even today, my family makes double in income what it would have made in North Carolina. We are very close to middle class at this time, and disabled children like my son don't get put on the back burner by society and the educational systems like they often do in conservative states. Of course, I also love the fact that we're more free. In North Carolina, it was a daily fear to feel the threats from society and the government against non-Christians and non-conservatives, but in Illinois, we were able to forget all that. Illinois is a great state with great people and a great constitution. Let me outline just a basic, core difference in the state constitutions of Illinois and North Carolina. In this case, we'll focus on religious freedom. North Carolina, Section 13, "All persons have a natural and inalienable right to worship Almighty God according to the dictates of their own conscience, and no human authority shall, in any case whatever, control or interfere with the rights of conscience." 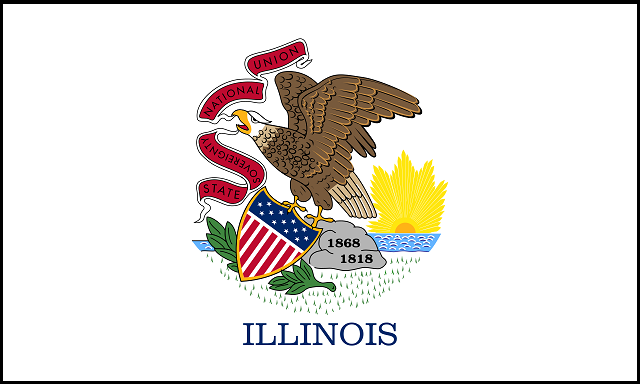 Illinois, Section 3, "The free exercise and enjoyment of religious profession and worship, without discrimination, shall forever be guaranteed, and no person shall be denied any civil or political right, privilege or capacity, on account of his religious opinions." So why is the Illinois law regarding religious freedom better for minorities like myself? Because Illinois guarantees me religious freedom without specifying a certain theology. No matter what my religion or theology is, Illinois gives me the right to it. But North Carolina literally says I have religious freedom if I am a Monotheist. It could easily be argued that the North Carolina constitution does not protect Polytheists. In fact, the lawmakers of the state clearly thought as much when they tried to pass the State Religion Bill in 2013 to make Christianity the state law and religion of North Carolina. Fortunately, it failed thanks to the Speaker of the House at the time. The Illinois law also prohibits discrimination based on religion, whereas North Carolina makes no mention of it. So if North Carolina thinks it's within the rights of conscience to deny Polytheists housing, healthcare and employment, then section 13 wouldn't stop it. Like any state, she certainly has problems to be fixed, but I don't think many people realize how fortunate they are to live in a state like Illinois. People who were born and grew up here have the luxury of not knowing what it's like to live in a state that doesn't care about you, or that hates you for your beliefs or lifestyle. It's a privilege to live in a free and supportive land. In some states, the rise of tyranny would be tolerated by the population, but here in Illinois it would not; certainly not in our day and age. If a governor or a state congress got into power and said they were going to persecute everyone who isn't straight, male or Christian, and abolish the minimum wage so it's legal to work people for 10 cents an hour, we the people of Illinois would vote them out in a heartbeat. In North Carolina, they'd probably enjoy a lifetime in office. I'm not trying to bash the people of my home state. They're actually very good people, it's just that a great number of them have been severely misguided. The natural beauty of Illinois is something I cannot get over either. It's not just the Great Lakes, but the wonderful towns, cities and countrysides that are literally everywhere. When you grow up in the rural South like I did, you often hear rumors about how the North is nothing but concrete with no nature. This is entirely false. When I lived in Freeport, Krape Park was the most beautiful and majestic park I had ever witnessed in my life. When I lived in Galena and Elizabeth, the fields and rolling hills and forests that went on for miles were breathtaking. Everywhere you turn, you might find a secret grove or a hidden waterway, often completely untouched by humans. Illinois is a place where you could easily live with the natural world and no one would ever bother you. 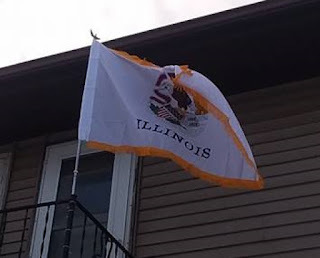 In recent times, I've also heard some people talk about changing the Illinois flag because of various reasons relating to a dislike toward the design. Arguments may range from a lack of originality to being plain or uninteresting, but I disagree with all of this. Some people may not like our state flag, and honestly, when I first moved up here, I didn't give it that much thought either. But I have grown to greatly love it. It hosts 9 colors in a perfection of compilation, and the flag itself gives off the feeling of Illinois' character and the wonderful energy that can be found here. I don't even think we need our name written on the flag, because the design is unique enough to be recognized and set apart from all other state flags in the Union. Ultimately, I don't think it needs to change.